Treatments today for PD include medications that can provide relief from the many symptoms associated with the condition. Some medications work by assisting in the performance of neurotransmitters in the brain responsible for the transfer information from one cell to another. In some cases, regulation of certain regions of the brain are necessary for improvement of symptoms. Many herbal remedies and supplements are also available for use to help relieve symptoms experienced in patients with PD. 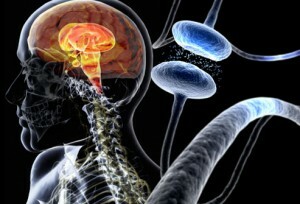 How can Stem Cells Help Parkinson’s Disease? Stem cells reproduce at a rapid rate and have the potential to replace different cell types in the body. Adipose stem cell therapy is a breakthrough procedure in regenerative medicine in which a patient’s own adipose stem cells are harvested and reintroduced into the body. This regenerative therapy is designed to aid in the restoration of dying tissues in the body. In adult stem cell therapy treatment for PD, the adult stem cells are collected, enriched, and administered in order to replace the dying nerve cells in the brain. These advancements in the treatment of Parkinson’s Disease work to fully regenerate missing or damaged tissue that the body would not ordinarily regrow. While aging is among the greatest risk factors for PD, it does not have to be a normal part of the aging process. With our treatment, hope can be returned to those managing their condition. When traditional medications show less than optimal results, this advanced technology offers a natural procedure to assist your body in rebuilding itself. Stem cells treatments are a new alternative way of approaching PD that aids in the restoration of diseased and dying tissues in the brain. There is no cure for Parkinsons’s Disease, but our methods have shown beneficial in the management of symptoms. Contact us today and let Del Prado Stem Cell Center provide a worry free experience accompanied by one of our Care Coordinators to ensure you have the best experience possible. Which Kinds of cells are used in Parkinson’s disease and how are they obtained? How are Mesenchymal Stem Cells (MSC) administered in Parkinsons Disease?